Oh, I meant to get these up sooner. As in, the beginning of the week. (Okay, okay. I originally dreamt of blogging them late LAST week even, but that’s the state of things around here. Remember the “Never-On-Time Series,” right? You know me.) But it is today, of course, and I’ve still made it! “It’s night before its afternoon. As you can see, these were originally made for a sweet, sweet baby shower, and I just couldn’t get over how utterly ADORABLE the theme was. 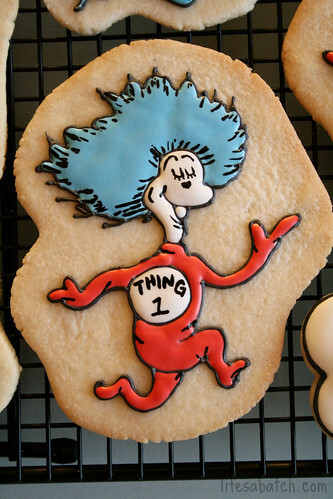 My friend Chris asked for all sorts of Dr. Seuss characters, and I came up with the ones you see above. And just because I couldn’t quite get enough of ‘em, I took closer pics of each one. And that quote up there? 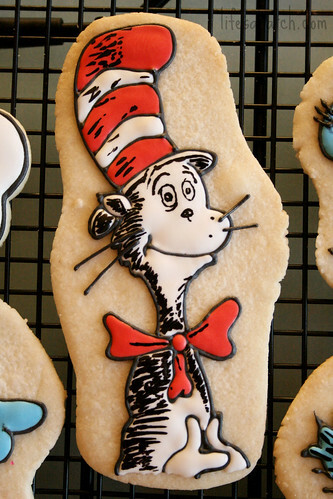 “A person is a person, no matter how small.” That was the featured quote on the top of the Seuss hat cake. Isn’t that just TOO PRECIOUS?! And his famous hat, of course! 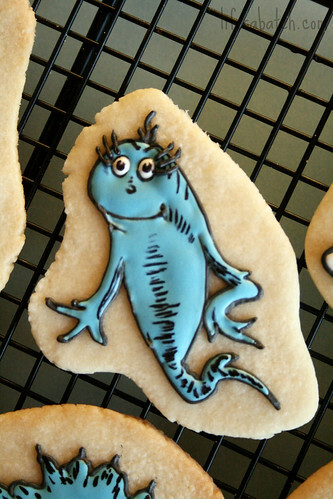 And then there’s that Blue Fish, too. 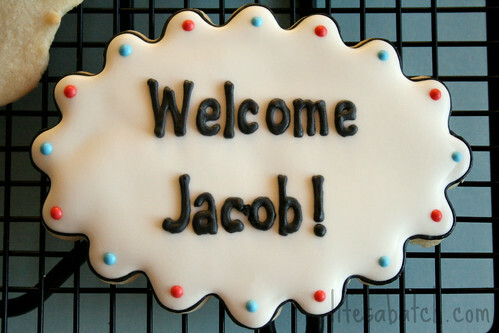 But then making this set was so fun, I had to do it all over again for a sweet little boy named Noah that’s turning 4! 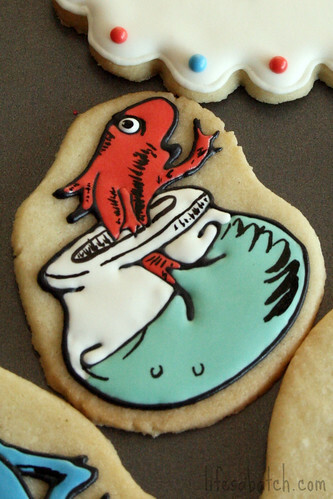 The darker icing is especially evident in the little Red Fish. I like ‘em both, but I’m curious which others prefer – the one above, or this one below? 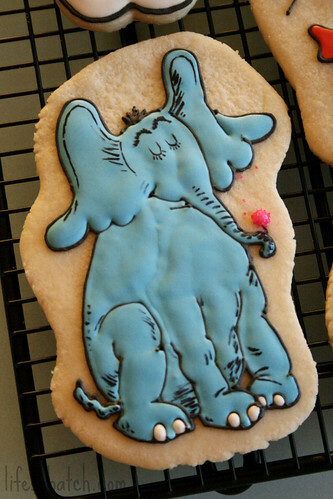 But despite the cookies, today is a day for childlike celebration! Dr. Seuss helped us all grow up, and he continues to help each new generation that falls in love with his wonderful characters. For that, I say a big, hearty THANK YOU! 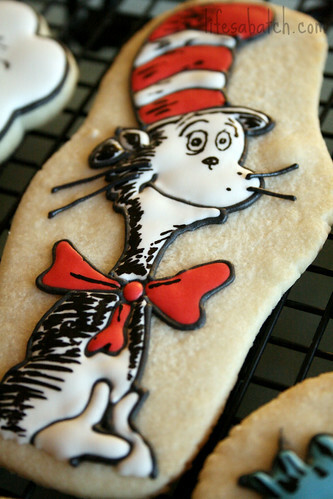 It’s impossible not to smile when you read his books, and I want to share one last one – take a look! … who is you-er than you! « And the Oscar goes to. . . I accidently linked to the party and then noticed I was already there! Thank you for linking me! You can “take off” the others if you would like. 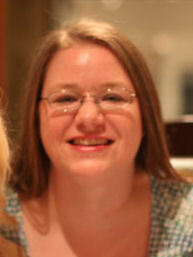 Hiya, Vicki! Thanks for coming on over, and I’m glad you’re in the linky party! Such great stuff! 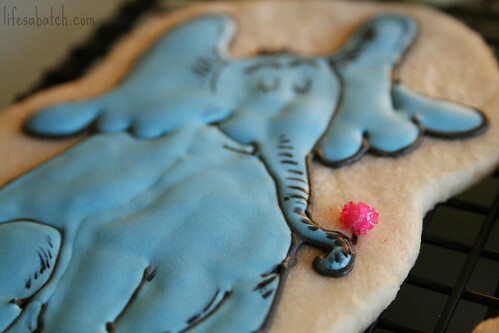 I adore this theme for a shower or a birthday and you executed it perfectly on these cookies. Your work is perfect and I love it. Thank you, Paula! 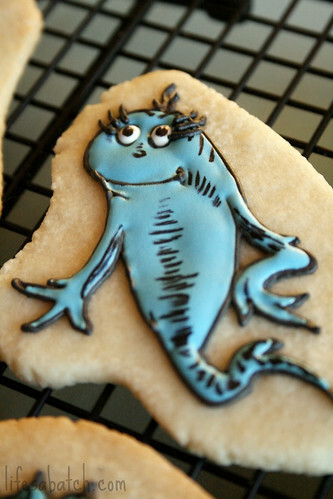 I absolutely adored your little Lorax dudes, too! these are AMAZING! 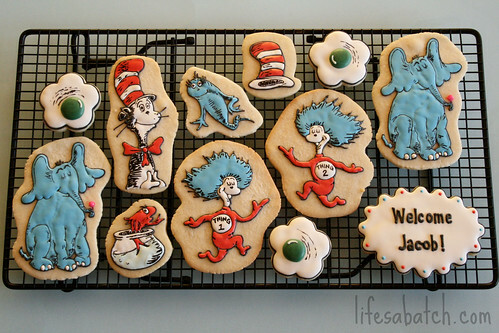 you are so very talented, love the cookie tribute to Dr. Seuss! 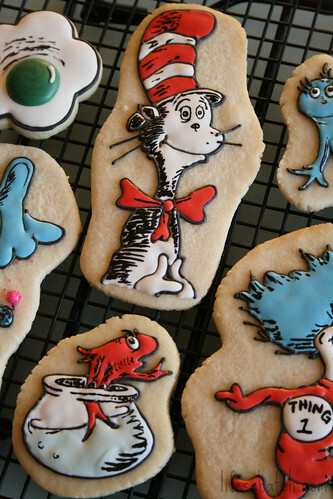 I wanted to gather up all the sugary Seuss love & put it into a sweet bubble! Thank you, Chris! I’m so glad to hear it! Thank you, Tam! I added the little sugar because I wanted it to really POP! What a fun party! 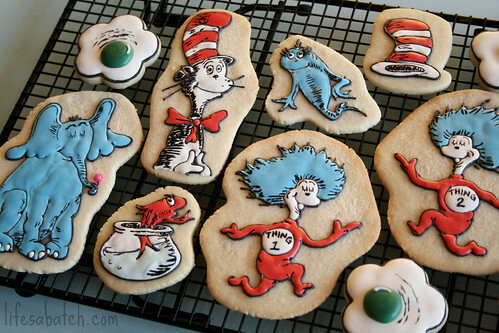 Your Seuss cookies are amazing!!! I can’t get enough of them!!! Thanks, Kara! I’m glad you were able to successfully link up. I just LOVE yours! Thanks, Nicole! I did try to link up my baby onesie Cat in Hats as well. 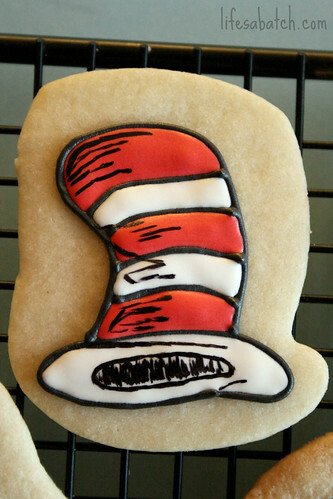 Love looking at what everyone else came up with for Dr. Seuss — they are so creative!!! I’m glad you did – they are PHENOMENAL! These are incredible! 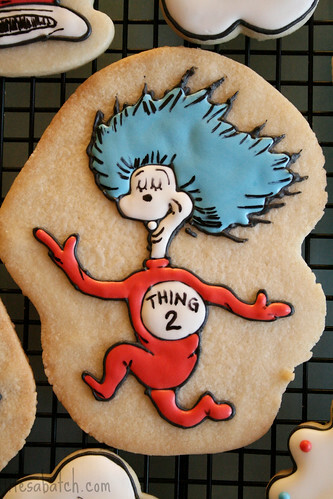 I shared them with my FB followers in honor of Dr. Seuss, whom I love. Great work on these. Thank you! 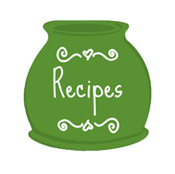 Karen, you just have no idea how much I *LOVE* seeing your new creations! Plus, you always, always, always just the sweetest thing around! 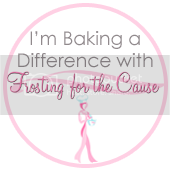 A-stinkin-dorable blog and fabulous work!! Thanks for opening it up for us all to party Seussical style!! Following your greatness NOW!! Girl, I’m so glad you came over! 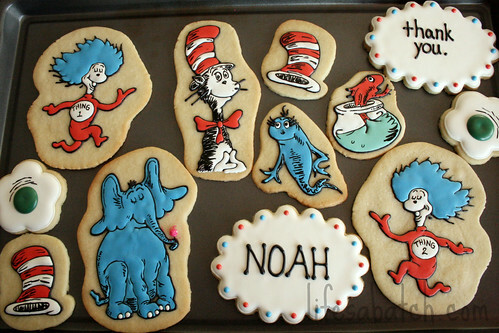 You had so many elements to your cookies that I hadn’t seen done in the Seuss-y realm, and everything was iced & executed beautifully! Your talent has truly blossomed!! Your skill and artistry have just become astounding! I am continuously blown away by each and every batch!!! 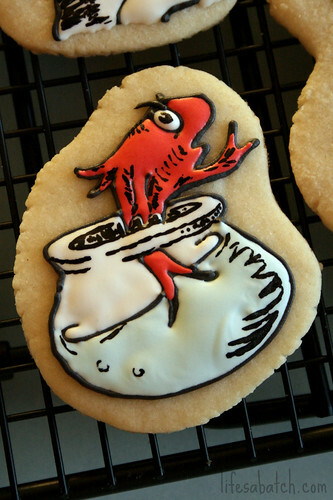 I am in awe – these are amazing! Really something to aspire to!!! Oh my goodness! 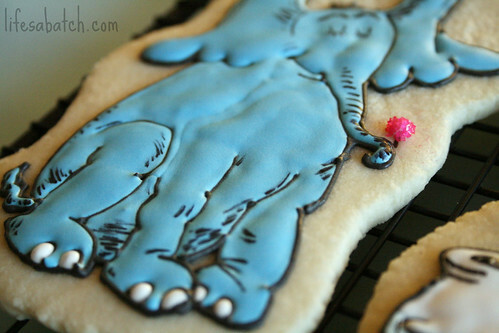 These are beyond adorable and perfect! LOVE! Thanks, Marian! 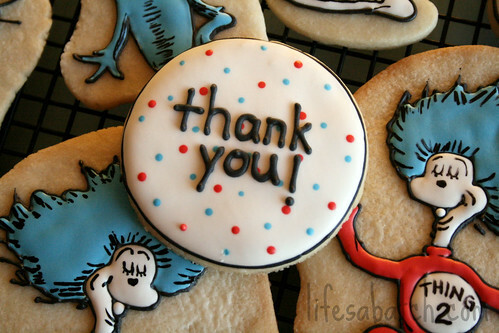 I’m so glad you came over & linked up your amazing, fluffy cookies, too!